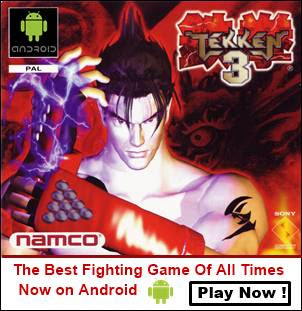 Following is a list of complete tutorials to play PS1/PSX, NES, SNES, GBA, DOS, CPS1, CPS2, MAME, NEOGEO, PSP and SEGA Genesis games on android. Click any link below to read its tutorial. Playstation PS1/PSX games on android with epsxe/fpse. NES games on android tutorial with nesoid. SNES games on android tutorial with snesoid. Nintendo GameBoy Advance GBA games on android with gameboid. CPS1/MAME games on android with tiger arcade. PSP games for android with PPSSPP. Sega Genesis games on android with gensoid. NeoGeo games on android with neodroid. DOS games on android with AnDosBox. CPS2 games on android with cpsemu. Enjoy gaming on your android.